Having presented a prototype of a 8K resolution television in the summer of 2018 and announcing that TVs will be on sale soon. 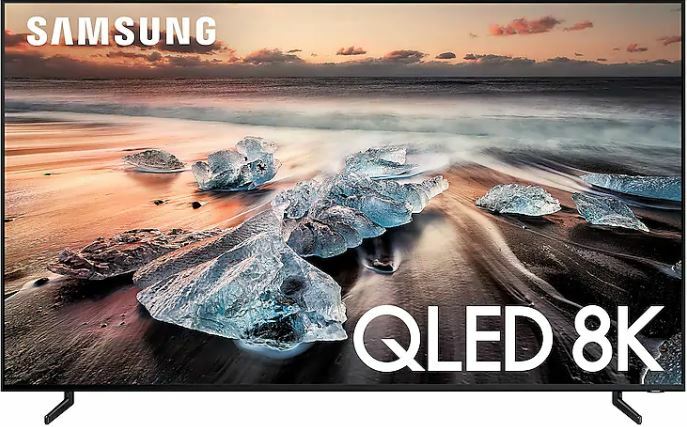 Samsung kept its promise and announced the start of sales of 8K TVs in November 2018. Thus, Samsung became the first company to start producing and selling 8K TVs. Televisions are slightly different for different regions. In the US, the QN85Q900RAFXZA 85-inch TV is available. In Europe and other countries, the model QE65Q900R, QE75Q900R, QE85Q900R TV with screens on a diagonal of 65, 75, 85 inches. TV is positioned as a model Q900R. To attract customers in some countries, in the United States and Europe, a program is launched to return the TV within 100 days if you don’t like it. Also on products of a series Q the 5 year guarantee is provided. But this promotion is valid from 10.11.2018 to 10.12.2018. One of the advantages of using a new processor, although it is natural for a 8K TV, you need a graphics processor that supports 8K resolution. What exactly is installed is not known, Samsung said only that the main processor 4x nuclear. The frame rate is 120 frames per second, the Motion Rate 240 index, not to be confused with the actual frame rate, the TV can show a maximum of 120 frames per second. The most important feature of the screen, the screen resolution of 7680 x 4320. Increasing the number of pixels on large screens is welcome, since the image will be clearer by reducing the pixel. But there will not be much difference in comparison with 4K TVs. Be careful in the shops on TV shows special videos shot with a resolution of 8K. There is practically no video with a resolution of 8K, then basically the TV will scale to an 8K image with a lower initial resolution. This will involve the software installed on the TV.